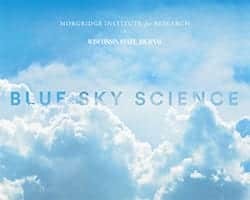 News & Stories > Blue Sky Science > What is pain tolerance and how does it work? Blue Sky Science: What is pain tolerance and how does it work? What is pain tolerance and how does it work? Pain tolerance is the maximum amount of pain a person can withstand. There’s a threshold where pain just becomes too much to bear. At that point you take steps to either remove the cause of pain or decrease the pain sensations by taking medications or putting hot or cold on the area that’s painful. In the pain experience, there first has to be some kind of injury that triggers the nerves to relay a signal to the brain. Next, the brain receives that message and interprets it as the sign of pain. You may have heard the saying “no pain, no gain.” In the pain community, there’s the saying “no brain, no pain,” because we need our brains in order to perceive and experience pain. Pain is subjective and is different for every person who experiences it. There’s also different dimensions of pain including sensory, emotional and behavioral components. For example, if you dropped a 20-pound weight on the toes of two people, they could experience the pain differently. One person might feel mild-to-moderate pain and be a little upset. They might interpret it as having been an accident and just shake it off and walk away. Someone else might perceive that pain as moderate-to-severe and be very distressed about it. They might think that it was done on purpose to harm them, and could express that pain by grabbing their foot, jumping up and down and screaming. It’s hard to change the underlying physiology in terms of pain tolerance, but you can change your mindset to adapt your pain tolerance. Knowing what pain to expect, when it’s going to occur, and for how long can help to improve pain tolerance. Think about going to the dentist. A surprise root canal is no fun and the pain can be frightening. But if the dentist gives you a heads up—for example, you’ll feel a dull throbbing sensation that lasts about 30 seconds before it’s over—you’ll be in a better mindset to tolerate that pain. It’s not always a good idea to build up a tolerance to pain. Pain is really important, as it can indicate potential illness or injury that needs to be addressed. Why don’t joints bend both ways?